How Early in a Relationship Should You Talk About Money? Garry Pelton was nervous to talk with his girlfriend. Not that anything was wrong; in fact, Pelton was considering asking her to marry him. But before he did, he knew they had to talk about money — specifically, whether they had similar personal finance goal and philosophies. Pelton wanted to pay off the mortgage on his condo and he hoped to buy more property in the future. He wanted to be able to go on vacations, but only when the couple saved up to afford them. More generally, he believed in living within his means: never spending more than he earned, and saving up for large purchases instead of buying them on credit and incurring debt. The money talk is inevitable in any long-term relationship, especially when the couple has divergent attitudes about money. The lucky ones are able to reconcile their differences early and work out a compromise. But many couples avoid the conversation only to discover over time that one person wants to spend more than the other, which can breed mutual contempt. The saver resents their partner for overspending and undermining the couple’s financial goals, while the spender feels controlled by their partner and unable to enjoy their life. Eventually, the discord reaches a breaking point. Disagreements about money are the primary cause of marital strife, according to Terri Orbuch, professor at Oakland University and University of Michigan Institute for Social Research. For Pelton, a 25-year-old University of Northern Florida student who previously served in the U.S. Navy, the time for the talk was five months ago — a full two years into his relationship. And he was prepared to walk away from the relationship if his girlfriend had a flippant attitude toward personal finance. “I would have honestly thought I don’t think this can work,” he says. Fortunately, that didn’t happen. His girlfriend shared his belief in living frugally. But many would say Pelton’s money talk came dangerously late in the relationship. Had she had a different point of view on money, the relationship might have come undone after two solid years. So when, then, is the appropriate time to have this uncomfortable chat? The general consensus is the money talk should occur well before a couple gets married, and for good reason. “Money is the number-one source of conflict among couples, particularly early in marriage,” says Orbuch, who has studied the same 373 couples for 30 years as part of a long-term National Institutes of Health study on marriage. Orbuch finds that 7 out of 10 couples report money is a significant source of tension in their relationships. But the distance between starting a relationship and getting married can be vast — if indeed it does lead to marriage. Having a chat about money night before the wedding seems far too late, while discussing money on the first date seems presumptuous, even gauche. Dating expert Laurel House says to discuss money once you decide you’re serious — which seems only slightly less ambiguous, and opens up the risk of one person being serious before the other and broaching the subject too early. Personal finance personality Suze Orman advises having the discussion before the relationship gets serious, whenever the hell that is. Spencer Reese, a 29-year-old Air Force captain, and his wife managed to go from more than $100,000 in debt to a quarter-million dollars in net worth in six years, and he recommends discussing money on the second or third date, meanwhile. Then again, Reese was especially maniacal about his finances. He once canceled an $80 weekend vacation his wife planned because it was over their budget, causing her to cry. Orbuch says you can deduce someone’s financial philosophy by simply observing how they move through the world and handle everyday transactions. Where do they like to go out for dinner and drinks? How much do they tip the wait staff when they do? Do they go out for coffee every day, or do they brew it at home? A slightly more direct way is to ask the person you’re dating about their lifestyle. Their spending habits will reveal themselves in their answers. Where do they work out? Somewhere ritzy like Equinox, or are they more of a 24-Hour Fitness person? What was their last vacation? Where did they go? Did they use discount travel sites such as Kayak or Expedia to book their flight and accommodations? Did they stay at a five-star hotel, or rough it in an RV? 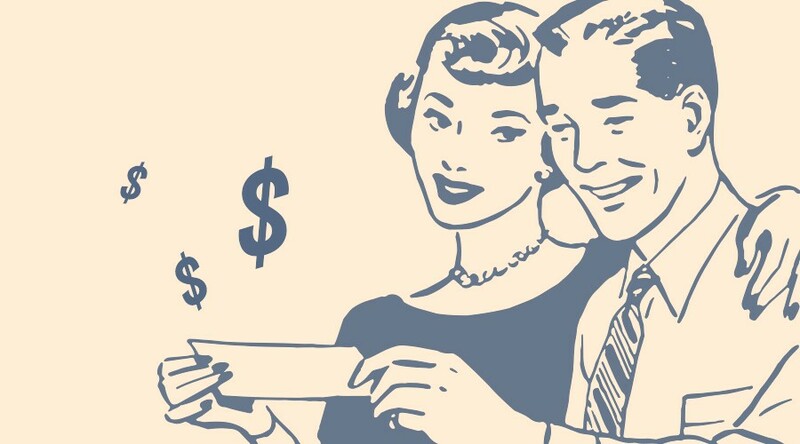 “Don’t have a talk about how each of you approaches money until later in the relationship — when you are considering being a couple, when you think of yourself as a ‘we’ and want your friends and/or family to meet this person,” Orbuch adds. Pelton followed this advice to a T, albeit unwittingly. Talking about money is uncomfortable for just about everyone, and he didn’t want to grapple with the awkwardness until he was sure he wanted to be in a committed, long-term relationship with the woman he’s dating. Besides, he had a pretty good idea about his girlfriend’s attitudes toward money without discussing it directly. She loved trying new restaurants, but didn’t insist on an expensive meal out every date. One night she remarked that she loved visiting Japan, but only did when she could afford it, giving him the impression she saved for what she wanted. Does he wish he’d had the conversation sooner? “Absolutely not. That would have been overstepping my boundaries or being too forward.